U.S. President Donald Trump is a man who seems able to rile those how might support him and even those who have. 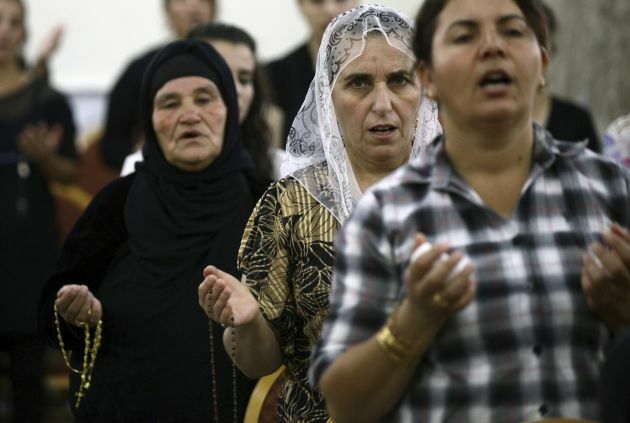 Trump is now facing anger and could face problems from his own base as his administration increases its attempts to deport Iraqi Christians, whom he had undertaken to protect from what has been referred to as extermination in the Middle East. Immigration and Customs Enforcement agents over the past weekend detained Iraqi Christians and others to send back to Iraq, Politico reports. Many of them were taken into custody in Michigan, a U.S state that Trump clinched a narrow win in the 2016 elections and where there are residing a considerable number of Christians from Muslim-majority countries who backed Trump during his 2016 presidential campaign. "I don't think this is a cut-and-dry case. I don't think these individuals were rounded up because they are Christian. I know immigration authorities say they have criminal records. Sending them back to Iraq is not an automatic death sentence, but being a Christian in Iraq is hard," wrote columnist Jeremy Courtney 15 June in The Washington Post. "If you are a Christian, you should be deeply troubled by the deportation of your sisters and brothers from Detroit. Because persecution is real - and it has little to do with some of the silly issues that American Christians complain about so easily," he said. "Our president — elected with the overwhelming support of white evangelicals — has repeatedly pledged to champion the cause of persecuted Christians, especially those from the Middle East. Yet in this case, his policies could inadvertently contribute to the persecution of Christians." Courtney wrote that the deportation action has stirred alarmed in lawmakers seeking to heighten awareness facing Chaldean and other Christian communities in Iraq, Syria and elsewhere in the Middle East. "So it's all the more shocking that more than 100 Chaldean Iraqi Christians were arrested in the Detroit Metro area by Immigration and Customs Enforcement agents over the weekend, all of whom are now threatened with deportation — back to a country where they will be in mortal danger exactly because of who they are and how they worship," wrote Vox. It said such communities have battled under the control of the terrorist group that calls itself Islamic State.